Carlos "Portuges" Vieira born November 2, 1977 in Sao Paulo, Brazil is a Brazilian Jiu Jitsu fighter and teacher. He began training in 1992 after trialing a class with friends. Since then he has won various titles including European Champion, Pan American Champion and Brazilian National Champion (see his full list of titles). Portugues(as he is most commonly known) has worked and shared his talent in various countries including Brazil, Spain, United States of America, Portugal, United Kingdom and Iceland just to name a few and is now expanding in Australia. Carlos Português Eduardo started Jiu-Jitsu at 15 years of age, at the KITO RYU Jiu-Jitsu gym, with Master Jorge Pina Barbosa, in São Lourenço MG, Brazil in 1992. He trained with Master Jorge until brown belt, then joined the Cia Paulista team. Since the beginning, he dedicated himself to the sport, initiating his graduation and becoming a professional. Today Português is a black belt, 3rd degree. He graduated to black belt in November 2001, by Master Milton Maximiano Max Trombine and Master Eduardo de Sá Leitão. 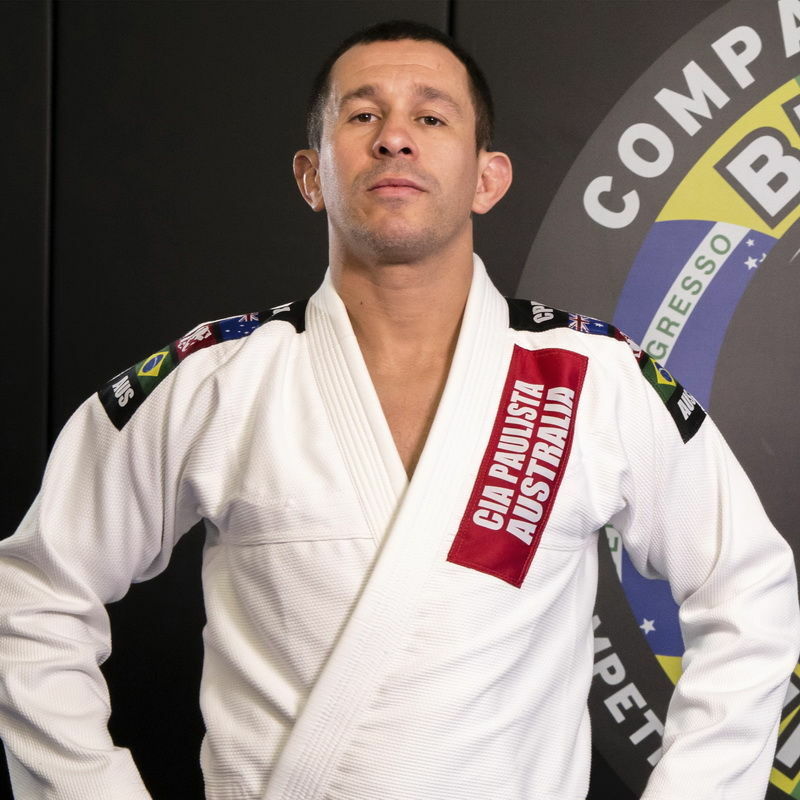 The Cia Paulista team was taken to the capital of Brazil, Brasilia, by Carlos Portugues Vieira, in the year 2000, when he was invited to teach Jiu-Jitsu in the Cia Athletica Gym. Since then, the team has been continuously growing. He moved to Iceland in 2007 to teach and then to Canary Island, Spain in 2008. 2009 he moved to Australia to continue spreading his knowledge of Brazilian Jiu Jitsu. He has graduted over 20 students to black belt all over the world. Some of these students are now representing him in other gyms, three of which are in Brasilia, Brazil, one in Mato Grosso do Sul, Brazil and another in London, England. These athletes has his guidance, through seminars, to keep the high level of the team. During his entire journey, he has won many important titles from Jiu-Jitsu to become a recognized athlete today.